Au pair Linda and her host family love to be together. You’ve probably heard it before- your au pair will quickly become a part of your family. This could not be truer for host mom Dalya and her twin boys, Judah and Rafael. 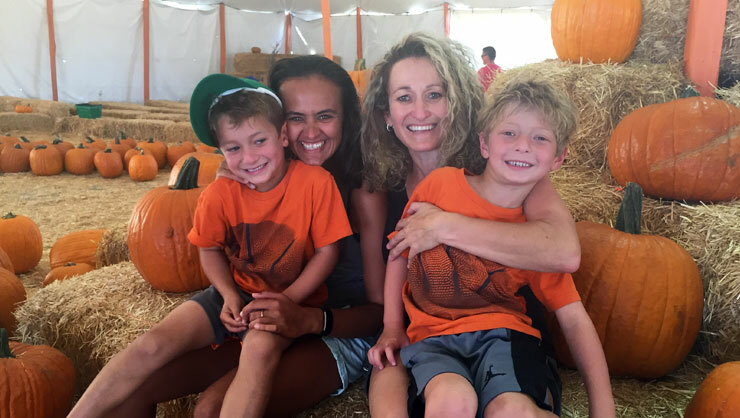 When their au pair, Linda from South Africa, came into their lives, everything in the household changed. Host mom Dalya tells us about their journey in her own words. The competition is over, Linda has been the best au pair ever! As a single mom of twin 5-year-old active boys, there is no way my last year would have been the same without her. From the first day I met Linda she has always been so positive, never complains, and is always up for any adventure. She not only helps my boys in their lives but has become an integral part of my world in the support and help she gives me on a daily basis. We work together as a team and it never had to be taught. My first morning with her in my home I just knew she would be terrific in the way she grabbed everything, made the food, kept the boys calm, got them dressed and ready to go. I was totally relieved, and I knew this was going to work! Just like that first morning, Linda will always go the extra mile, no questions asked. I can 200% count on her and as a single mom, that is really important to me. Being an au pair is not just an international nanny in this household. Linda is part of the family. She knows when to jump in without having to be asked during difficult confrontational whining moments. She can tell when mommy needs a break and steps in to help with the boys. Helping with the boys isn’t just feeding them and dressing them. Part of her job is being a coach, a teacher, a WWF Champion, superhero, jungle gym, a ninja warrior trainer, a sports trainer, a psychologist, an educator, and, of course, a friend. Linda wears many hats, from superhero to teacher to friend. She not only helps them with their basic needs like getting ready for school and driving them from place to place but more importantly, she gives them unconditional love. This cannot be taught. It’s innate and that is Linda. My kids both had speech delay and some occupational therapy behavior issues. Linda was with me for all therapy sessions when needed and really helped them to grow into the young boys they are today. It’s only been a year, but their development, speaking skills, and behavior have improved exceptionally well and a large part of that I can attribute to Linda being in our lives. Linda is solid. I know we only have her for five months more, and I know it will be very difficult to find another person like her. She has become a great friend to all of us and really defines what the program is about. She has integrated well into the family and has exceeded my expectations on every level in every category. 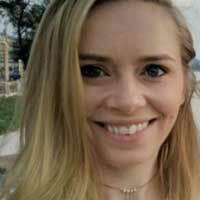 Her amazing qualities of being reliable, dependable, independent, confident, funny, silly, honest, creative, loving, and kind makes her the best au pair! 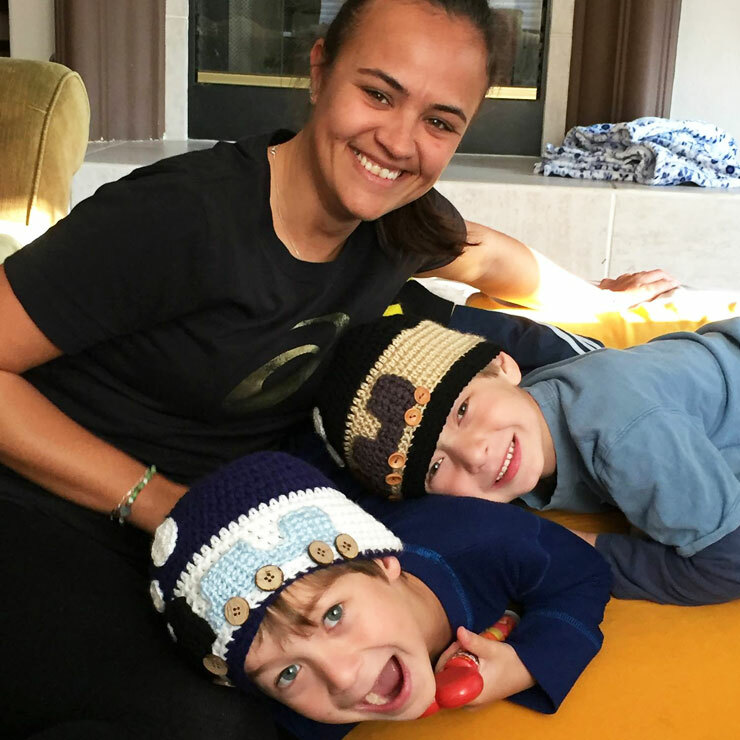 Au pair Linda shares why she feels so fortunate to have had this adventure. I never thought that this experience would be as good as it turned out to be. It was the best decision I ever made. I can see how much the kids have grown! Speech wise and behavior wise and in many more ways. And when I looked through all my videos and photos I realized how much physically they have grown since I’ve been here. And it felt amazing to know that I was part of all of that and were fortunate enough to experience that special time in the kids’ lives. My amazing host mom has thanked me countless times for what I do to help her. I don’t think there is another host family with the same dynamic as we have in the house. We are the perfect fit for each other. Thank you, Dalya and Linda, for sharing your story with us! Watch host mom Dalya read her full letter to Linda below.